The idea to use the groundbreaking technology for jewelry was not developed until the entire Bible text was placed on a charm and delivered as a present to Ha’s wife. The Sarah Ha Jewelry line was named after her and is a balance of technology and fashion allowing meaningful information to be worn as a pendant. 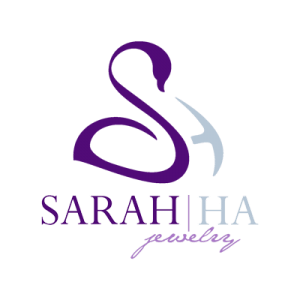 The Sarah Ha Jewelry line has already expanded the available pendants to include the Torah, the complete works of William Shakespeare, Pi and Phi written to 7 million digits, and the US Constitution. The holographic symbol designs include, but are not limited to a cross, crucifix and quill pen. Bruce Ha, who fled Vietnam in 1975 at age 10 for political asylum in the US said that memories of his homeland are important to him. With his patented technology, the few precious remaining pictures of his parents and siblings can now be preserved forever on an archival metallic medallion. Sarah Ha Jewelry is sold online at sarahha.com and the company is rapidly expanding into the retail industry.